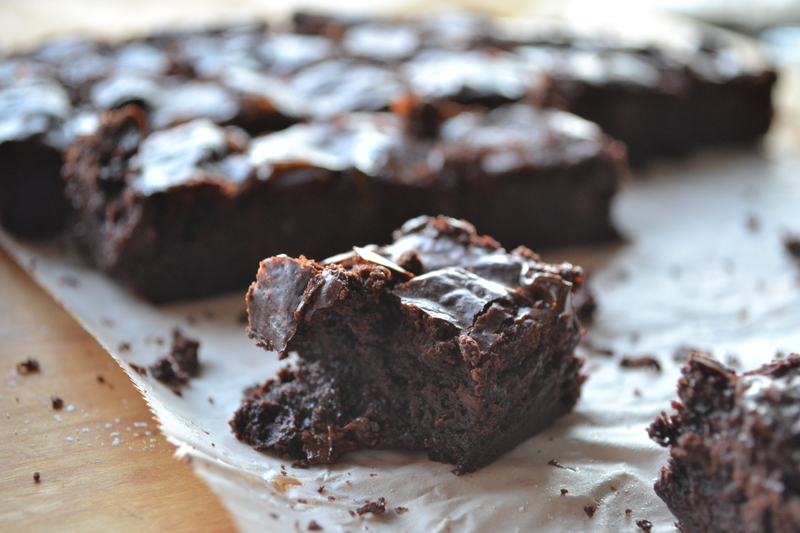 There seems to be two schools of thought when it comes to brownies: some are cake-like and chewy, some are damp and dense and almost fudge-like. Since there is no leavening beyond the eggs, these brownies won’t rise. In fact they will puff slightly, develop a crust and then sink. This is thanks to a greater volume of chocolate than flour, much like a flourless chocolate cake. Many people will take brownies any way that they can get them, but for some of us, myself included, only the damp, fudgey ones will do. This recipe delivers just that. It is a simple recipe but decadent enough to be relegated to special occasions or extreme chocolate cravings. Enjoy! Stir frequently until the mix is fully melted and glossy. 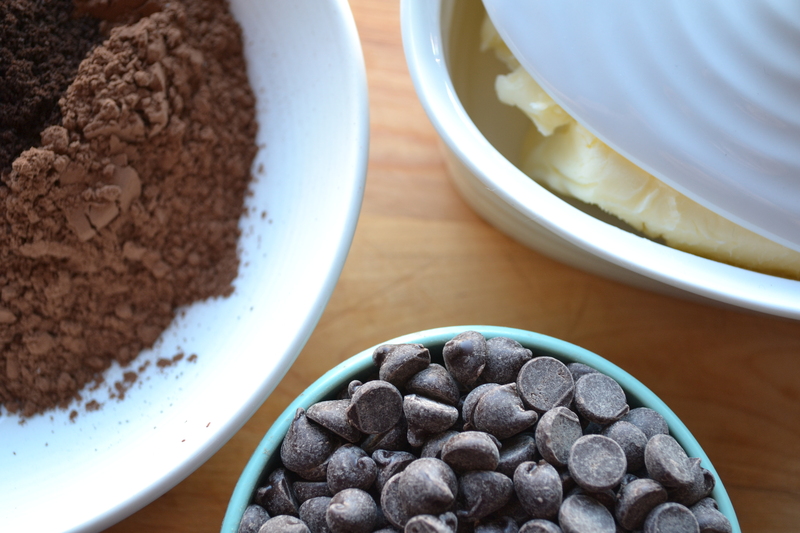 Set the chocolate mix aside to cool slightly. 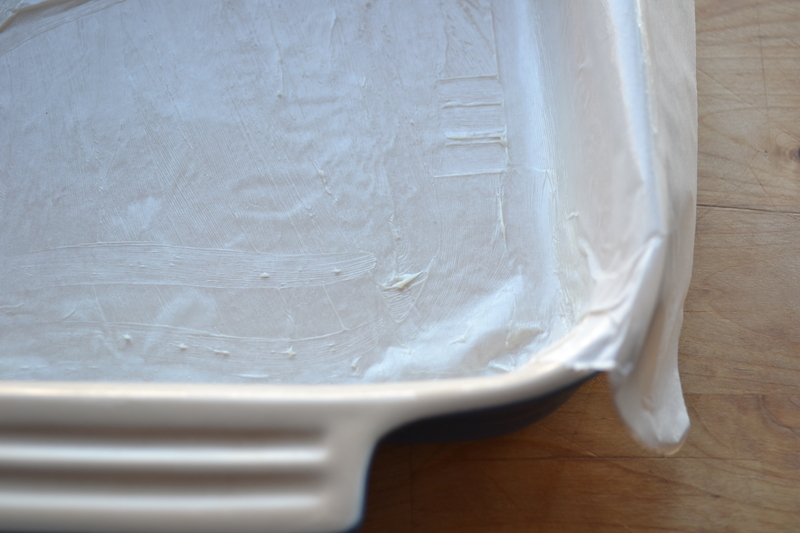 As it cools, butter and line with parchment, an 8×8 inch baking dish. 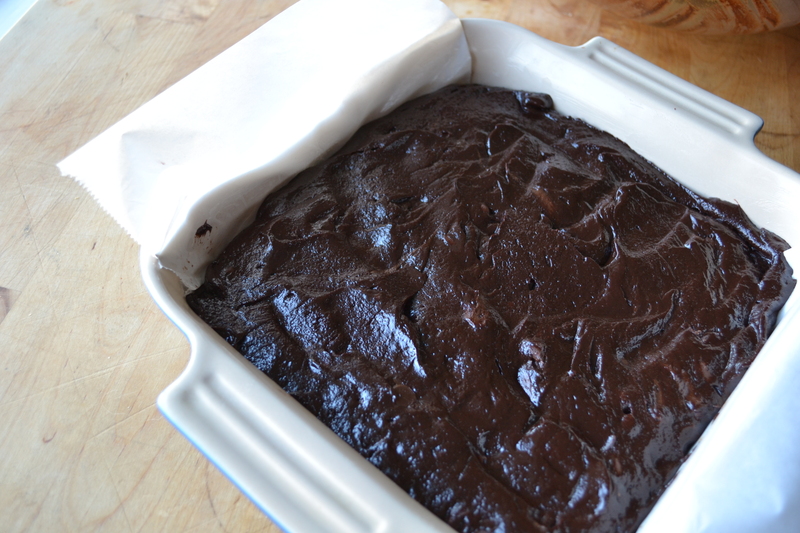 Allow the paper to hang over the edge to act as “handles” for lifting the brownies from the pan later. Lightly butter the paper as well! The batter will be sturdy. Smooth it into the prepared pan and bake for 45 mins. When tested with a toothpick the crumbs attached to it will be quite damp. Don’t let this stop you! Allow the brownies to cool for 15 minutes in the pan, then carefully lift our with the paper “handles” and allow to cool completely on a wire rack. Cut into 24 small pieces.